The 2007 National Reining Horse Association (NRHA) Futurity & Adequan® North American Affiliate Championship Show, taking place from Nov. 22–Dec.1 at the Oklahoma State Fair Park in Oklahoma City, Okla., will award more than $1.5 million in cash and prizes to NRHA competitors. The NRHA Futurity is the premier event for 3-year-old reining horses. The prestigious $100,000 FEI World Reining Masters competition is coming back to the Futurity this Nov. 29, and at the end of the finals Dec. 1, one rider is guaranteed a check for $125,000, as well as a host of other prizes from NRHA Corporate Partners and award sponsors. The Adequan® North American Affiliate Championships (NAAC) is the culmination of a year of grueling competition for NRHA North American reiners across the United States, Canada and Mexico. 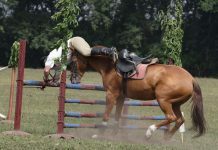 The riders must first qualify at their affiliate circuit shows. The top 10 riders in each division advance to one of nine Regional Affiliate Finals events. The top four riders (plus ties) in each division at the Regional Affiliate Finals are invited to compete in the NAAC. 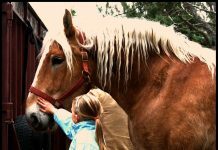 Additional events and activities include Americana Day, a Thanksgiving Day Feast open to reiners and their families, which benefits the Reining Horse Sports Foundation (RHSF). will receive a little up-close and personal training from an all-star line-up of NRHA Million Dollar Riders and their young friends from Make-A-Wish. Proceeds from the 4R Performance Horses 8 Second Celebrity Slide will benefit the Make-A-Wish Foundation of Oklahoma. For more information, visit www.nrha.com.